Since I was off this past Friday, I decided to go flying and explore another small town. Continuing on my journey of knocking out all the counties in Texas, I settled on a place just to the northwest of Waco, Bosque County. I was just in the Waco area during Spring Break, when I went to check out the town of Marlin. 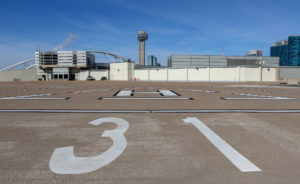 During the planning for this trip, I realized that the airports there didn’t have loaner cars available for use, inhibiting me from really doing any exploring outside of the airport unless I called a cab or something. Wasn’t too keen about doing that. Decided to fly to Waco Regional Airport instead and make the drive. Waco is always a great place to land, especially when visiting the surrounding counties and small towns. Due to a healthy tailwind, I was only in the air for about 40 minutes from takeoff to touchdown. Although the county seat of Bosque County is Meridian, it would be over a 45-minute drive to get there. On top of that, there didn’t really appear to be anything worth seeing there, except perhaps the courthouse. 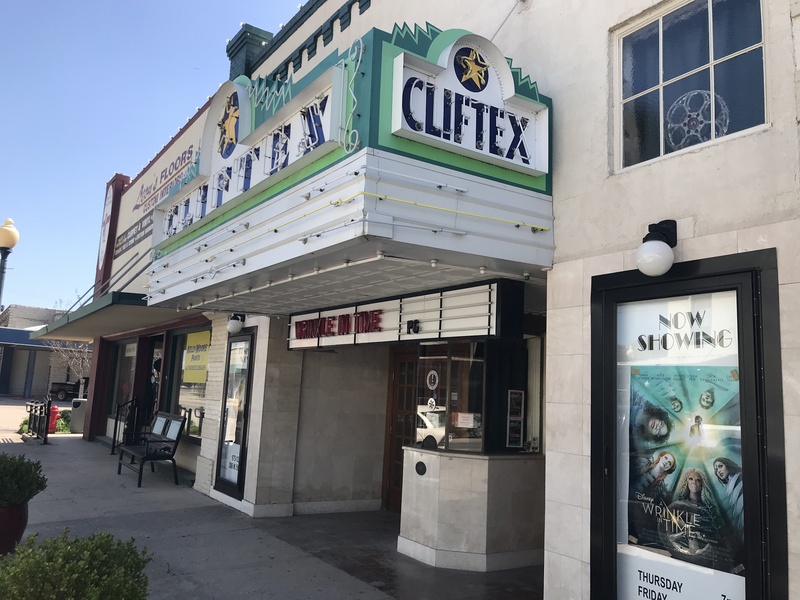 I opted for somewhere closer instead- Clifton, which is the largest town in the county. After landing, it was about a 30-minute drive into the city center. Rolling hills dotted the landscape along the way. 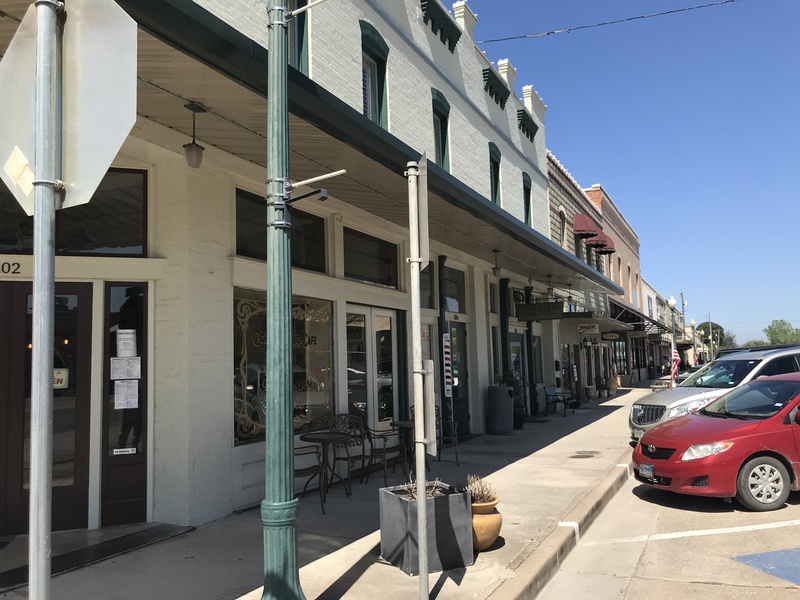 Upon entering “The Norwegian Capital of Texas”, I started exploring the downtown area on foot after a quick drive around. Clifton seems like the typical sleepy small town, however, there is somewhat of an industrial ambiance to it. When I walked around the downtown square, it sure had that small town feel to it. People were chatting outside the shops, and some families were taking their kids to lunch at the local town diner. I came upon a vintage theater. Who knows how long it has been around! According to a former coworker that is familiar with the area, they still show movies here every Friday and Saturday. That marquee is accurate – this place is truly a wrinkle in time. As I came to the edge of the downtown area, it shifted to more of an industrial development, with various shops and warehouses replacing antique shops and diners. Came upon this old 50s Chevy just sitting there in front of a sheet metal shop. I also stopped by Heritage Plaza, which is located next to the post office. There was a fountain with some nice landscaping. 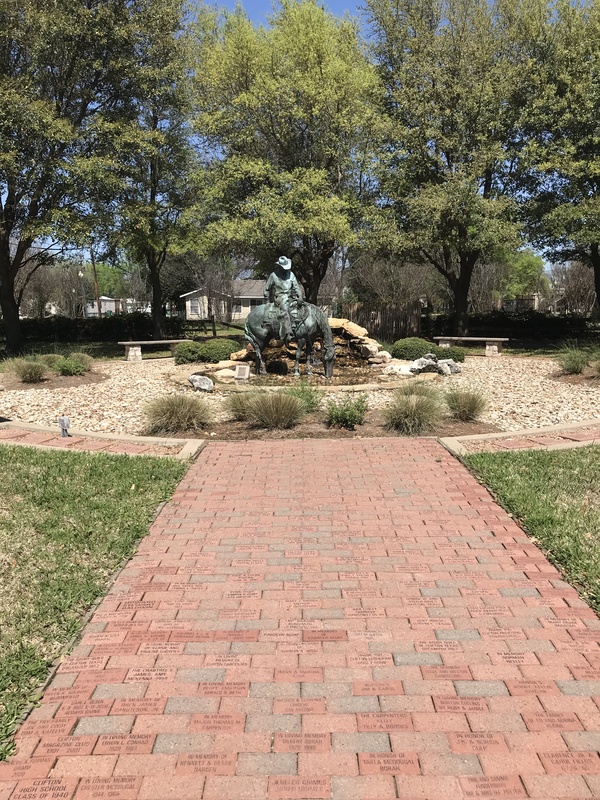 In the middle was a statue of a settler riding a horse, who is drinking from the fountain. 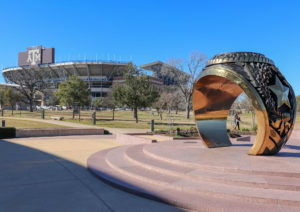 Did some research and found out the fountain water is designed to represent the Bosque River, which passes thru Clifton and runs 115 miles! A peaceful little area. There was also a small veterans memorial right next to it. 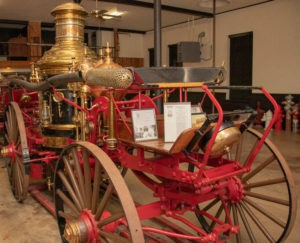 Upon getting done exploring there, I then went to the Bosque County Museum, located about 5 minutes away from downtown. I didn’t go inside due to time constraints, but did check out the Joseph Olson log cabin outside. It’d be hard living in one of these – especially with no AC! You are probably wondering who Joseph Olson is. One of the many Norwegian immigrants to settle in Bosque County, him and his family arrived in 1858 and made the county their home. 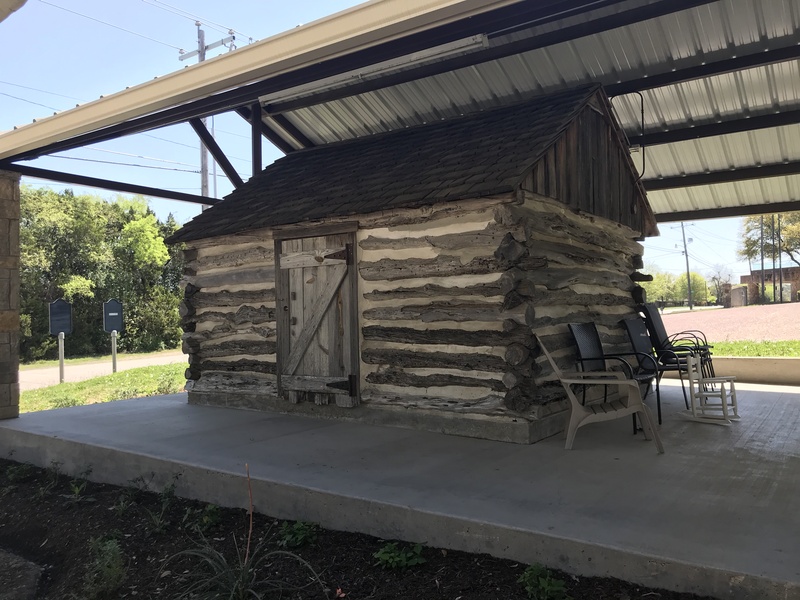 This cabin remained in the possession of family members and other people until finally it was donated to the Bosque County Museum in 1985 and restored. This cabin gave a great glimpse into the kind of living conditions back then, and what life was like as a new immigrant to a newly annexed state. 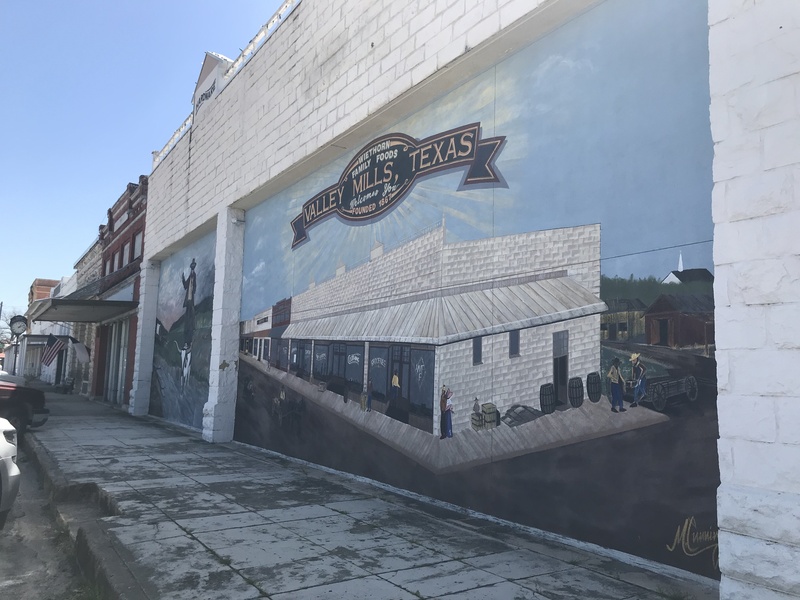 After leaving the museum, I started to head back to Waco, stopping in the tiny town of Valley Mills along the way. With a population of barely 1000 people, this town practically only occupies a few streets, if that! (or so it seems) Out of curiosity, I really wanted to stop by the City Hall, just to see how small it was. It sure was small, but what really caught my eye was their library. This house of knowledge was the smallest I have seen to date! I stepped inside and talked to the librarian, Debbie. She told me that she is the only librarian, which made perfect sense considering the size. There was the main room, which I was in upon entering, and a back room used for activities and such. All the walls were covered in shelving, and there were some shelves in the middle as well. Everything was well organized. They even had a few computers for public access. To give some perspective about how small this town really is, I mentioned to Debbie the name of a former co-worker who is from Valley Mills, and she immediately knew of her. That is something that is almost unheard of in a big city! Following the library, I walked around their one street “downtown” area. Quite a few of the businesses were closed that day, but since that street also appears to be their main thoroughfare, there were no shortage of cars driving by. For a town that has so few residents, it sure feels alive. 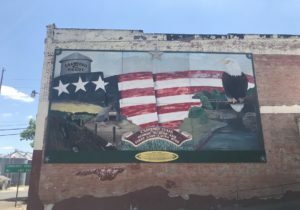 I enjoy seeing all these murals found primarily in the small towns! As I recall, there was a bank, antique shop, chamber of commerce, and a few other businesses in the square. Upon finishing up downtown, I drove back to the Waco Regional Airport and flew home. This was a pretty fun trip, as I got to see two towns and a county that many Texans have not even heard of. Although there wasn’t much to do in the way of touristy stuff, just seeing the different way of life that exists in these small towns makes it worthwhile. 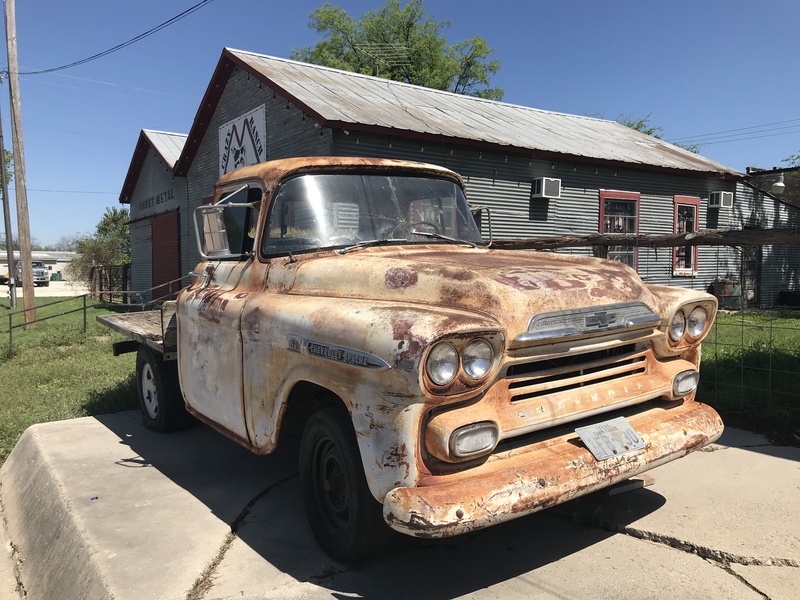 I know I will be back at the Waco airport soon – since, on the drive back, I saw a sign for a road leading to the town of Crawford. The place where former President George W. Bush’s ranch is, I plan to check the town out sometime in the near future!